I really like taking a picture every day after I have stitched. It helps me see that I really have made progress day to day, however small or big! 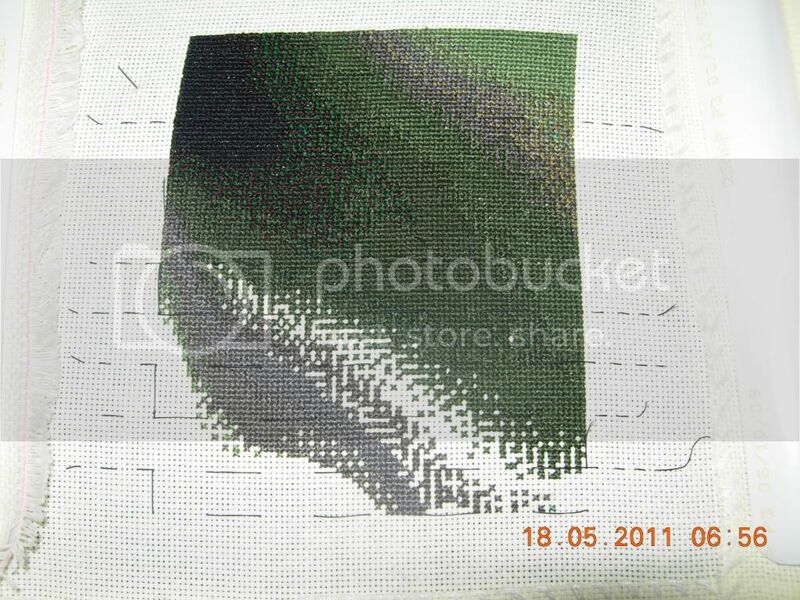 And with posting here I am able to see how my stitching has progressed. Those of you out there following me, thanks for reading about my everyday stitching! The whole reason I started a stichy blog is to see my progress day by day. I love seeing how much work can be done even if there isn't a lot of time in the day to do it. Helps keep the project exciting I suppose. Thanks Lauren! Thats why I started too. Kind of like a photo diary of my stitching. Glad to know I'm not the only one. I will look forward to seeing your progress.